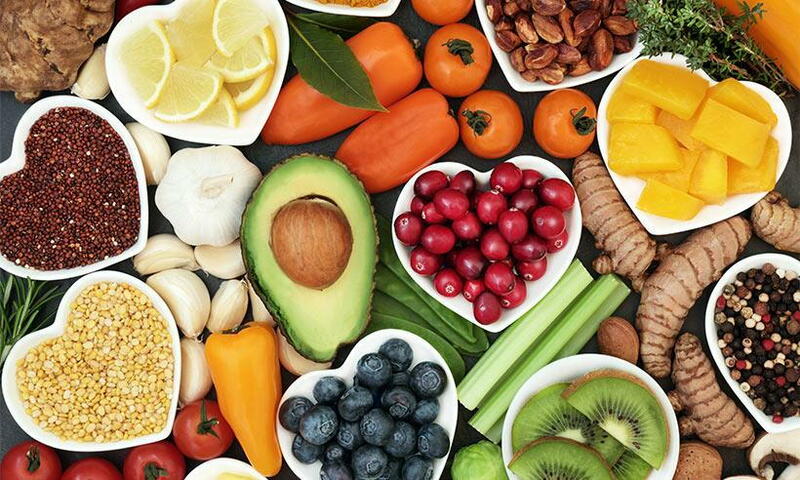 It is the month-long challenge for people curious about plant-based food, which grew by 183% last year, thanks to a record-breaking 168,500 participants in the UK alone. And this year it's even more popular: on Sunday 30th December alone, one person signed up to the pledge every six seconds! While not all of us are ready to give up eating meat and dairy completely, more and more of us are keen to experiment with cutting down for environmental, ethical or health reasons, leading to trends such as Meatless Mondays. Recent stats show that one in three of us regularly buy dairy-free milks, and it is claimed that one in five of us cook flexitarian (or semi-veggie) meals. Being vegan is great for your health! According to the Academy of Nutrition and Dietetics, vegans are less likely to develop heart disease, cancer, diabetes, and high blood pressure than meat-eaters are. Vegans get all the nutrients that they need to be healthy, such as plant protein, fibre, and minerals, without all the nasty stuff in meat that may slow you down and make you sick, such as cholesterol and saturated animal fat. Not only is being vegan good for us, it is good for the environment. Eating meat doesn’t just hurt animals—it hurts people, too. It takes tons of crops and water to raise farmed animals. In fact, it takes up to 13 pounds of grain to produce just 1 pound of animal flesh! All that plant food could be used much more efficiently if people just ate it directly. The more people who go vegan, the better able we’ll be to feed the hungry. Making small changes to your everyday meals is one of the easiest ways to increase the amount of plant-based foods in your diet. You could start by removing meat or dairy one day a week and go from there. Or you could try changing one meal at a time, having vegan breakfasts during your first week, adding a vegan lunch during week two and so on. You could even try changing one product at a time by swapping cow's milk for almond or soya milk or butter for coconut oil or margarine. There's a plant-based alternative for almost every type of food you can think of, so you don't have to miss out on any of your favourite foods. For more inspiration, check out for recipes and inspiration online.